We have a new library uptown and it is unique and super cool. It’s a tool library, and we now have convenient access to various tools to create, build, maintain and fix the things we love. The space on Union Street is bright, clean and brimming with shiny tools and equipment – much of which has been generously donated. As well, there are personal touches such as a signature door and the former business – ‘Elwood’s Wood Lab’ sign complimenting the inside decor and adding to the rustic charm. Not only does the SJTL help in a practical way, there is a definite sense of community in talking to Brent and Alex – full of enthusiasm for this organization. Not too long ago Brent Harris, founder of the SJTL, recognized the need of our growing uptown population and those who are in the ‘downsizing’ stage of the game, for tools and renewed purpose. 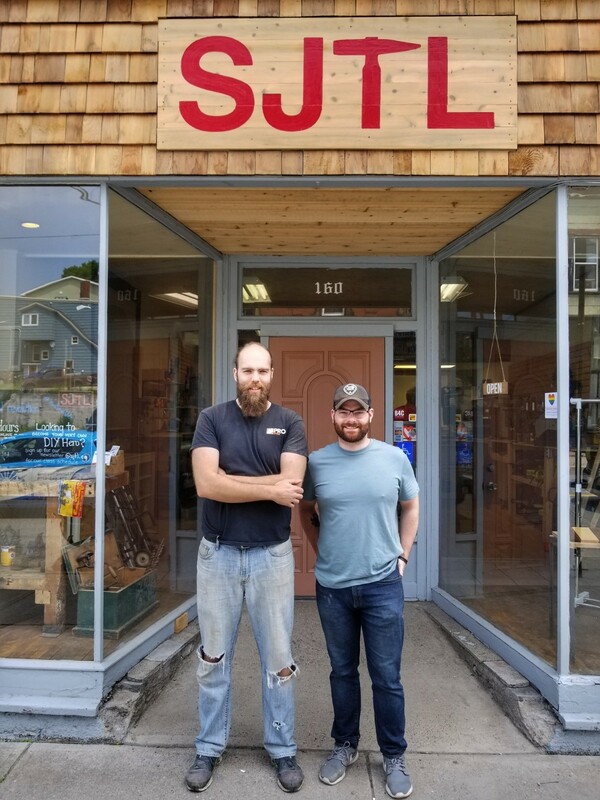 The Saint John Tool Library is an excellent source if you don’t have the space, finances or desire to own tools and equipment any longer, but would still like to create with your hands. There are four types of membership, depending on your needs, and the shop is well equipped to help you out with all of your projects. The SJTL also offers classes and workshops and welcomes anyone to stop by and see what they are all about. Also check out the donations and volunteering opportunities. Welcome to Brent and all of the SJTL team – we are so happy to have you!